I typically beat games before I review them. Unless they're of an extreme length or difficulty, I don't sit down at my computer to write my review until the game in question is conquered. I beat them, I hop into the menu and check out what I unlocked, then I write my review. 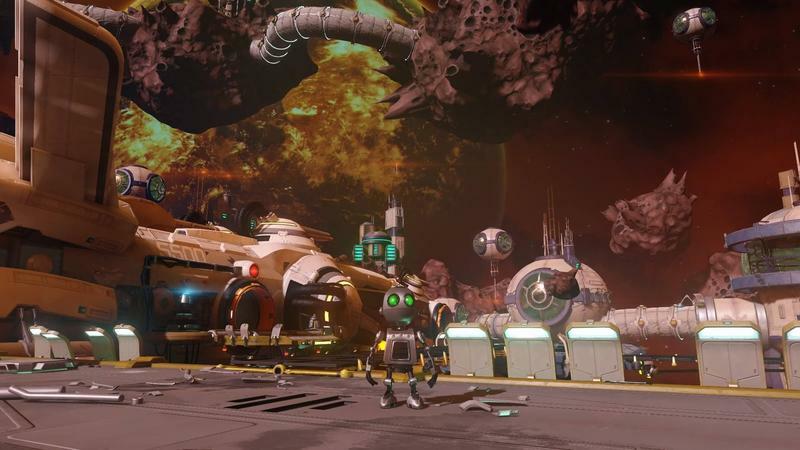 With this remake (and it is a remake, not a remaster) of Ratchet & Clank on the PlayStation 4, I beat the game, went back to the menu, checked out what I unlocked and then immediately set to beating the game again on its version of New Game+. I'm not that person. I never have been. I've never been one to immediately want to roll through the same game twice in quick succession, and I can count the number of New Game+ modes I've enjoyed genuinely on one hand. 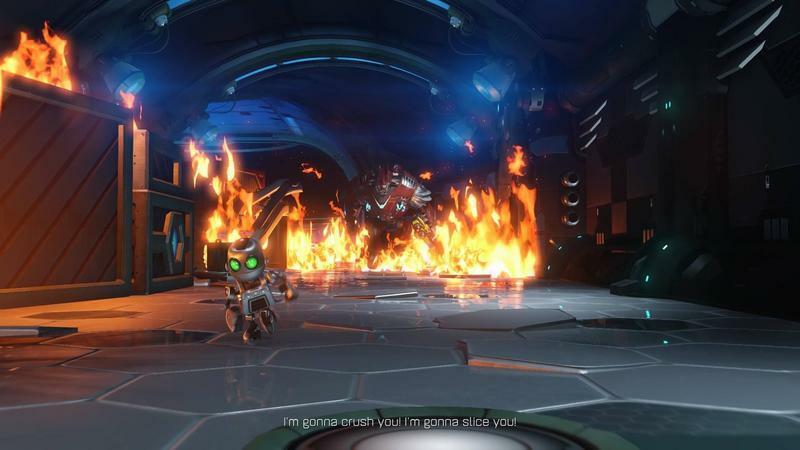 Ratchet & Clank, though, is a blast. This is already one of my favorite franchises, but seeing the original reborn with a gorgeous look, slew of new collectibles, the new take on this series' Challenge Mode and interesting little tweaks here and there has made me really happy. As a fan of this franchise, I'm glad this exists. 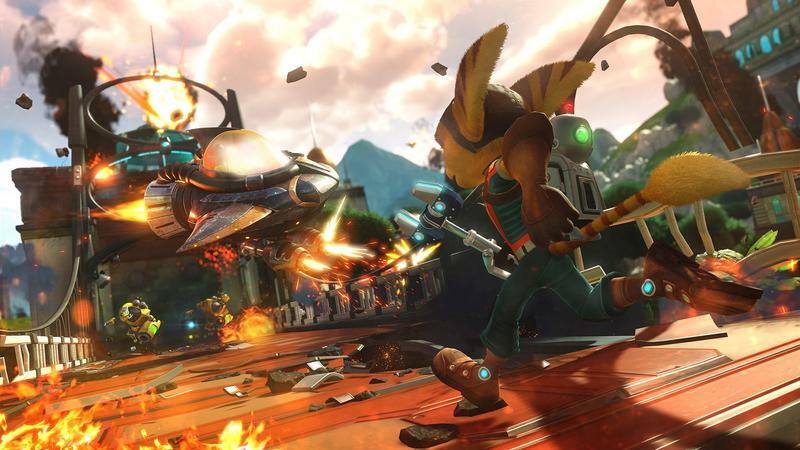 For PlayStation 4 owners who have never played a Ratchet game: get ready to go on an awesome ride. For veterans? Crank up the game to Hard and enjoy the trip. 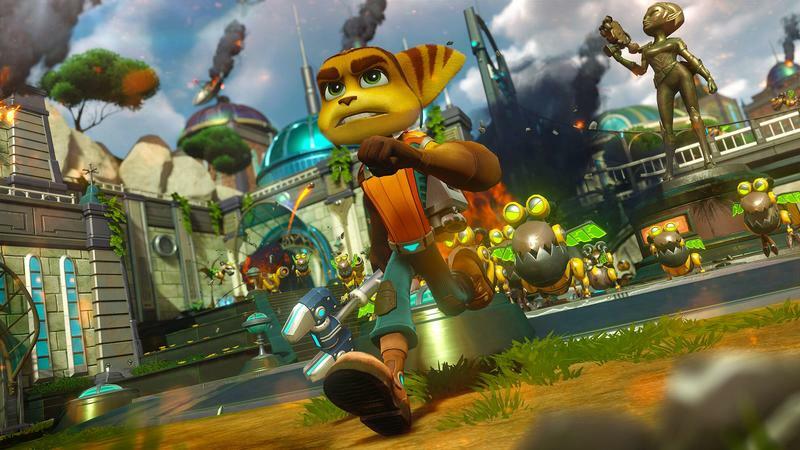 Insomniac and Sony have timed the release with Ratchet & Clank to match up with the film that's hitting theaters at the end of this month. 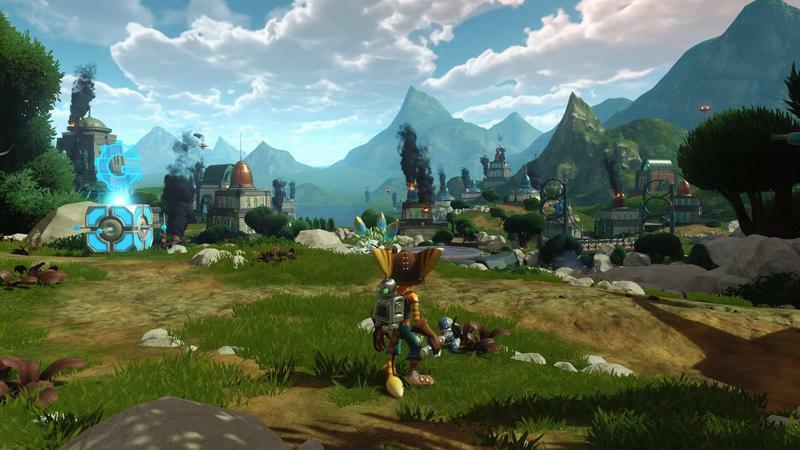 On April 12, we get the game that serves as a sort of reboot for this franchise (one character even calls it a reboot in the game), then we get the flick that Sony's hopping will propel this series to new heights. 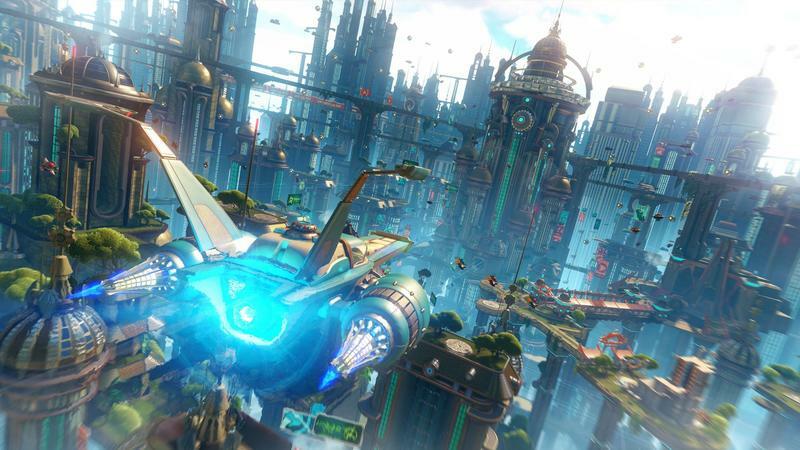 As someone who played the original a ton back in the early 2000s, I can say that this new take on Ratchet & Clank feels like a mix of old and fresh. It's strange, really. It wasn't until I actually dug up a wiki of the original game's items, weapons and gadgets that I realized exactly how much Insomniac changed. A few of my own screenshots. Guns have been swapped out, for instance. Old weapons that I remember hating in the original have been replaced with much more useful, destructive and creative stuff. That's Insomniac's bread and butter as a studio; they make incredible weapons in their games. 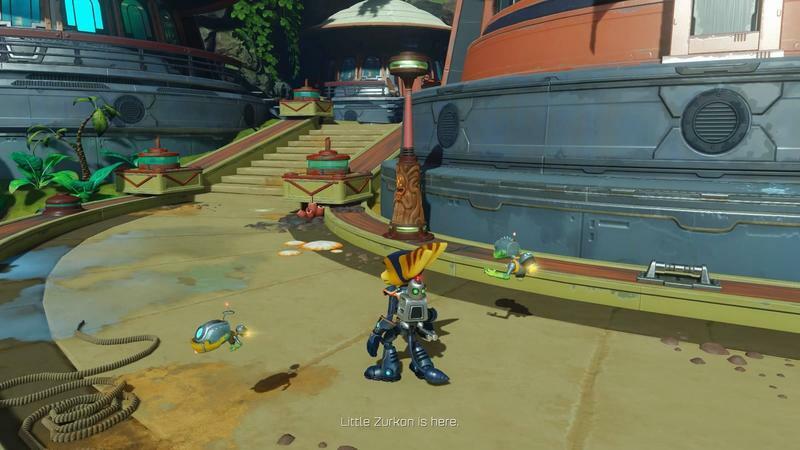 Ratchet & Clank has always been the proof of that concept, and seeing the original redone with even better weapons is sort of mind-numbing. There's a new weapon selector on the D-pad. You can just tap a direction to choose between four of your favorite weapons, and you can hold on a direction to assign a weapon to whichever quick access slot you need. It's a convenience tweak, basically. It's not necessary, but it makes the game feel more like a modern one than an old one. 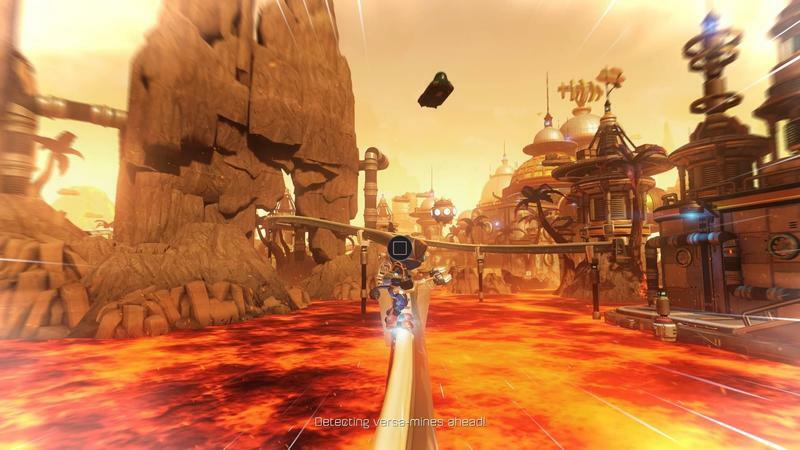 Hoverboard races have been altered a little, level layouts feel different, other convenience tweaks have been added and boring stuff has been removed. 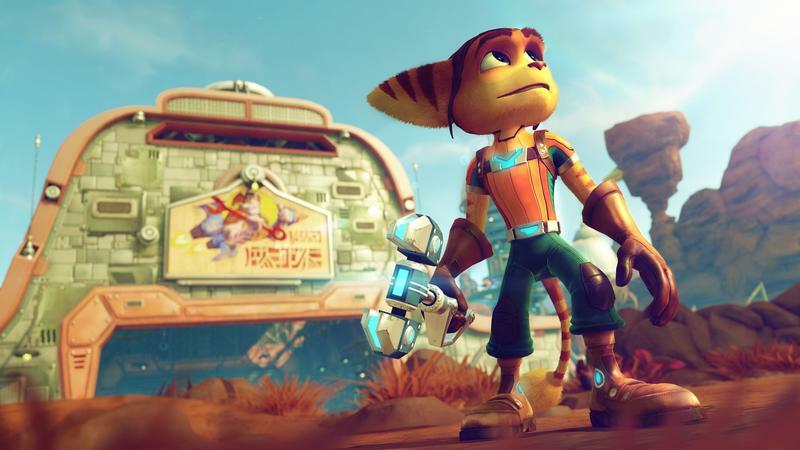 Remember, Insomniac's made a whole lot of Ratchet & Clank since the original launched in 2002. The series was incredible for a while, but some PlayStation 3 stuff had it failing a bit… not counting the Future iterations, I actually enjoyed those, too. 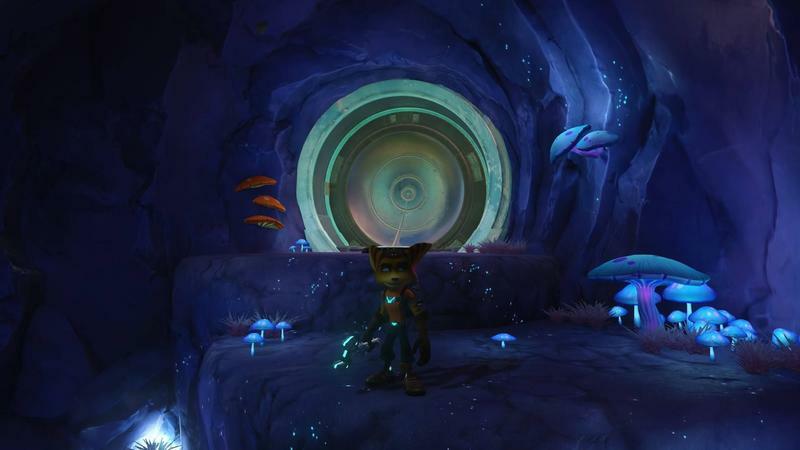 With all that Ratchet below their belt, Insomniac has really honed in on what makes this franchise so fun and rewarding. It's tight, it runs beautifully, the weapons feature that tried and true upgrade system, the graphics are fantastic and the humor feels genuine. These are all hallmarks of this franchise, right? The team took the game that started that trend, and they made it better. It feels like an improved version of the original, and that's so wonderful for fans. Insomniac also made some changes to the way the game tells its story, too. I won't be ruining things, but the changes range from major to minor. Cutscenes have been redone entirely, but big plot beats have either been dropped or totally swapped out. It felt like a fairly new story to me, but that might simply be because it's been a long, long time since I've played the original in earnest. 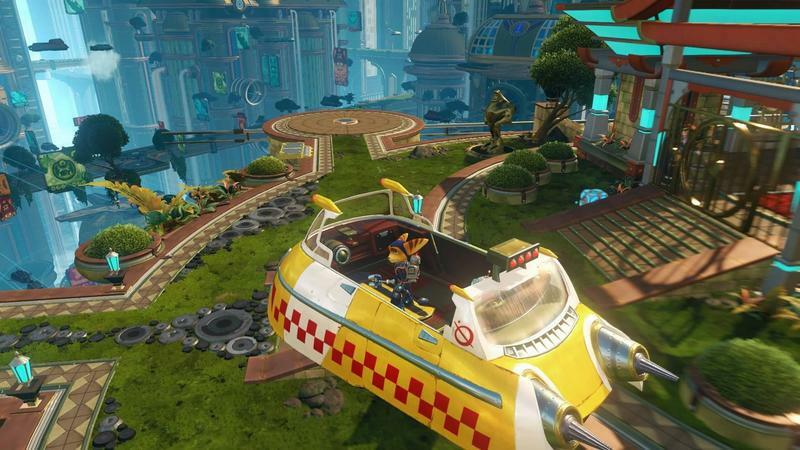 Right, so Ratchet & Clank is sort of the same game at its core. Things have been altered, but the framework matches that of the original. Why, then, was I so excited to just keep on rolling through the game's challenge mode immediately after the credits rolled on my first playthrough? Insomniac has changed how unlocking Challenge Mode specific stuff and some in-game content actually works. Gold Bolts are here, sure, and they unlock some random cheats, visual changes, filters, helmets, etc., but what's interesting about this new game are the collectible cards. Yes, cards. This is where the cynical among us start rolling our eyes because of the obvious ties a collectible card system has to fostering microtransactions. There are no microtransactions here. None. The cards are just a new way to unlock stuff in the game, and I really appreciate how they work. Weapons all have five levels, and on top of that they can be upgraded through Raritanium that's either found in stages or dropped by enemies. On top of that, cards can either be found in levels, like the ones that unlock the R.Y.N.O. gun, or dropped by enemies. Complete sets of cards to earn either passive upgrades (like increased card drops or earned bolts) or to earn Omega Variants of weapons in Challenge Mode. If you have five duplicates, you can swap them out for a card you haven't found yet, though that doesn't work for the R.Y.N.O. cards. I loved this new collection feature. I found unlocking content through the cards to be way more gratifying and painless than other methods in the past. Sure, I found all the R.Y.N.O. cards the old fashioned way: that is, checking in every corner I could. But the fact that enemies dropped cards during battle was fantastic, and I rolled into Challenge mode ready to spend 1,000,000 bolts on the Omega version of the R.Y.N.O.. Talk about a lot of scratch. 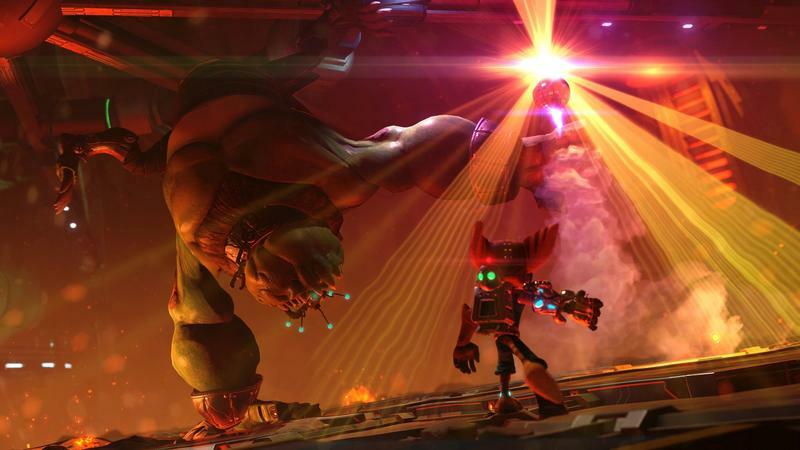 Collecting has always been a pillar of the Ratchet & Clank franchise. Like everything else, it feels refreshed in this reboot. 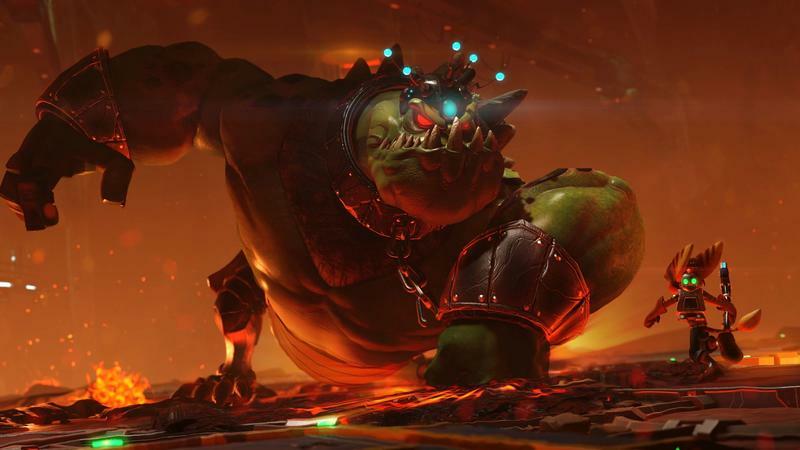 I'm certain there are those out there who really don't see the point of rebooting Ratchet & Clank. The movie gave Sony an excuse to start fresh with one of their most beloved IPs, and they've done just that. I can tell you that, as a fan, I was nervous about this game. The game hasn't really been hyped too much by Sony, it has direct ties to a movie and it's a part of a series that's seen a drastic decline in quality thanks to Move games and odd multiplayer efforts. 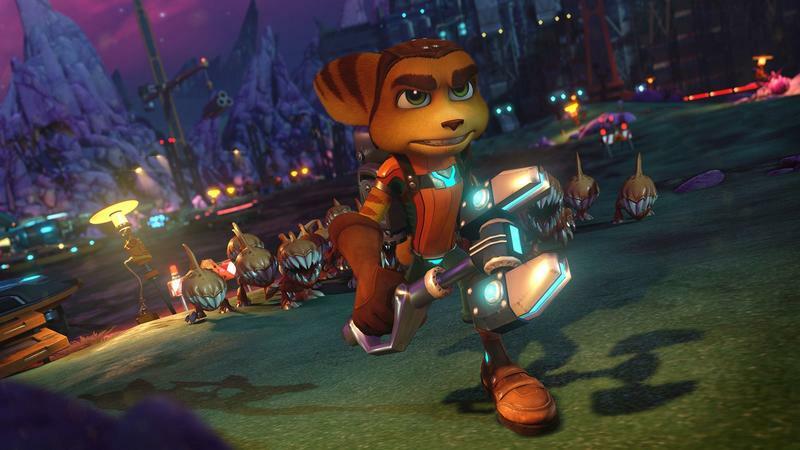 I wasn't about this one, basically, and I was afraid of what it might bring to the table as a lover of Ratchet & Clank. Put your fears aside. Embrace the reboot. Enjoy the $39.99 launch price tag. Is this a completely and entirely original experience? Certainly not. Insomniac has, however, done enough to warrant your consideration. Fan or not, if you're looking for an awesome shooter/platformer with a cartoon mascot from an age where we were playing these things on a daily basis, dive in. You'll have fun. 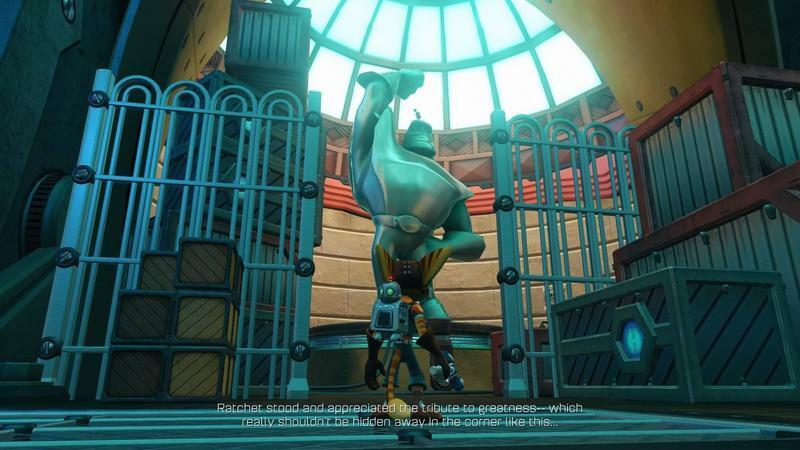 Disclaimer: We received a code to download and review Ratchet & Clank on the PlayStation 4 from Sony.